To make chocolate at home from scratch is the dream of everyone. When we were kids, we used to sing a song asawa sundar chocolate cha bangla, it’s a Marathi song which means I should have a bungalow which is made up of chocolates. To make chocolate at home is really stress buster for me. Yesterday I was not keeping well and my little daughter was very upset because of that. After looking at her I just forgot about myself, I took her to the kitchen asked her that we will make something and she said chocolate. And then we made these yummy chocolates. 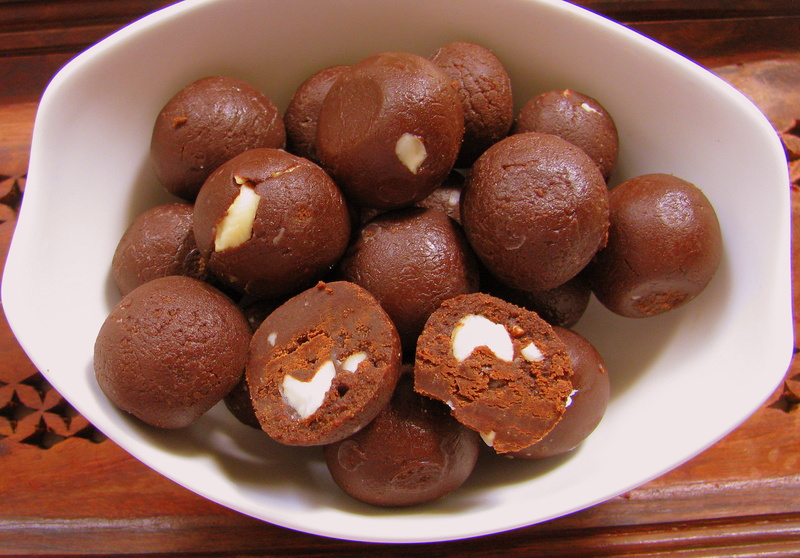 This recipe is very simple and everybody will love to have homemade chocolates. In my college days, I made chocolates from the chocolate compound. My mom used to make it from Cocoa powder and butter, the only issue of this chocolate is it was very sticky and to give it any particular shape was difficult. 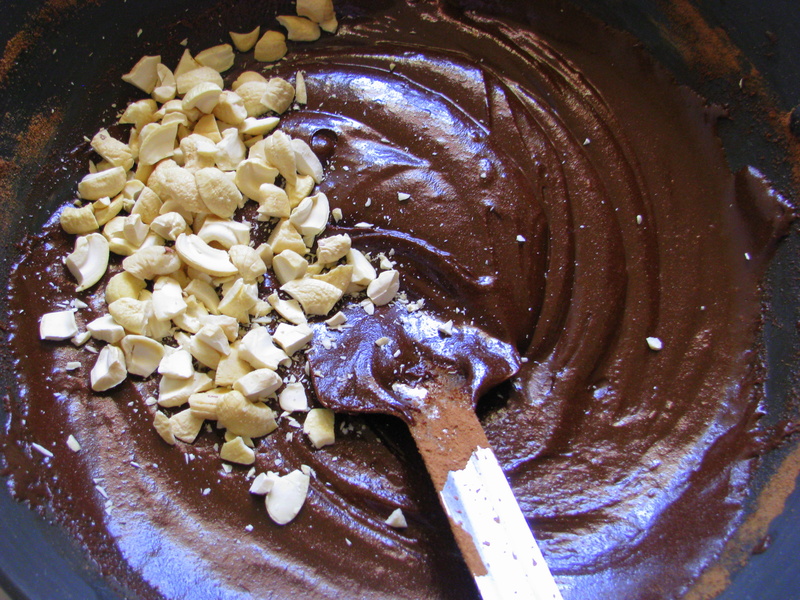 Because of that when I started making it I always used the dark chocolate compound. The only problem with this is I never got the good quality chocolate compound, I always felt that the fats used in it were not of good quality. It may be that I never had an access to the good chocolate compound. One day when I was making besan barfi I thought that I can add Coco powder and milk powder to this sugar syrup to make chocolates. I tried it and to make it soft and glossy I have added homemade butter to it…. and hurray …… It turned out awesome. 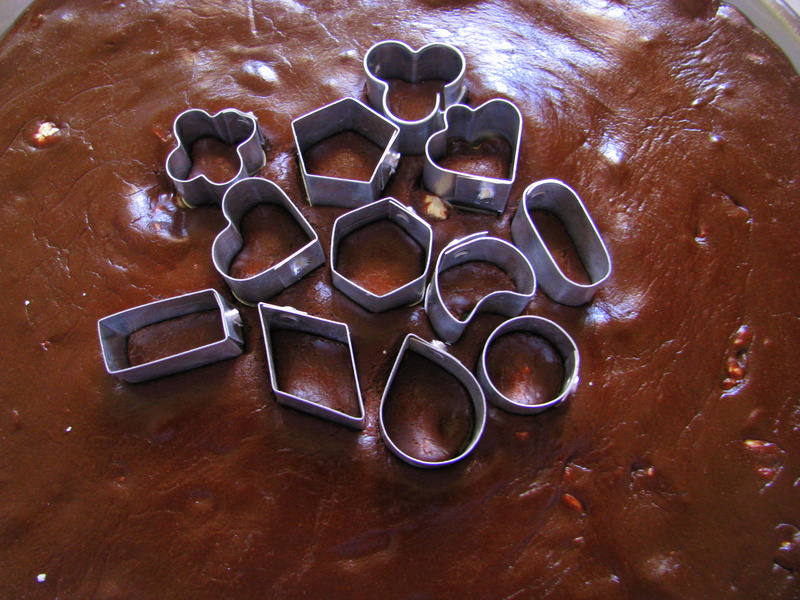 When my Friends had this chocolate, they asked me for the recipe and I promised them to post it on my blog. 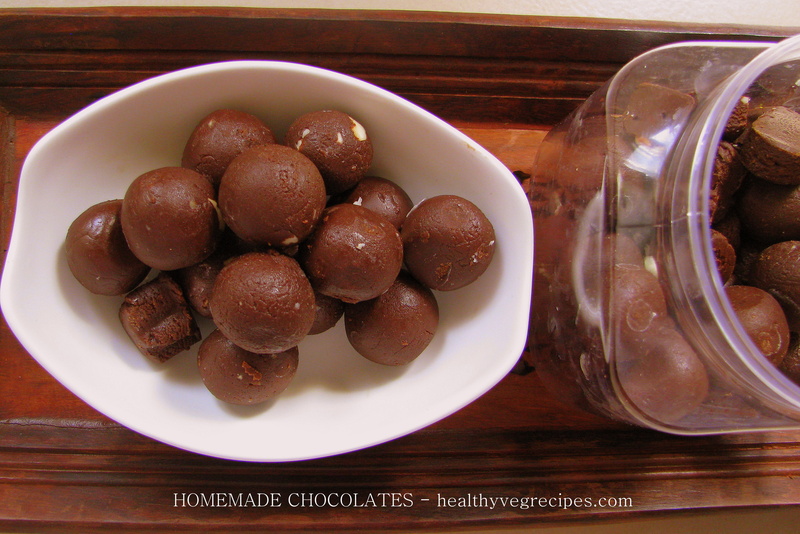 This homemade chocolate recipe is very easy and even a novice can make it easily. As I said, this chocolate recipe does not contain a ready-made chocolate compound. So I have used some basic ingredient to make this chocolate. It’s a chocolate recipe with cocoa powder. 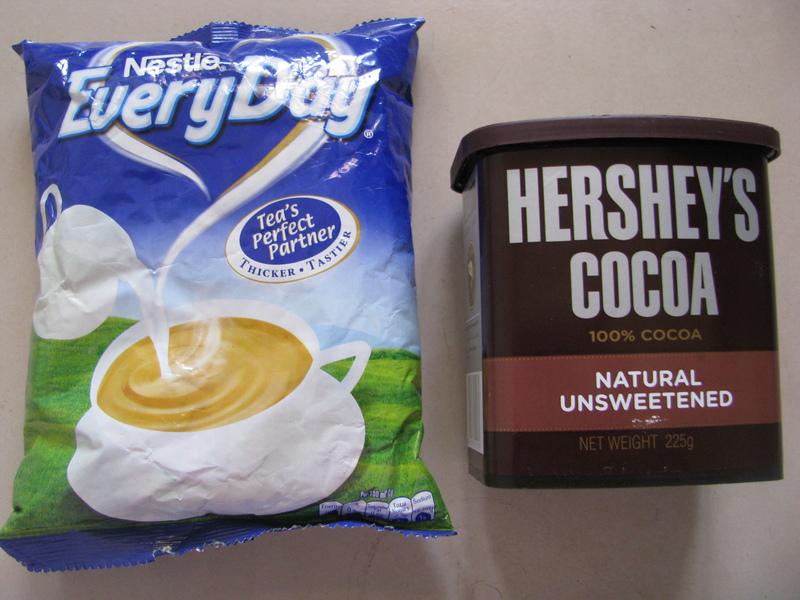 Cocoa powder- I have used Hershey’s Cocoa Powder to make this recipe. It is plain Cocoa Bean powder without sugar. I have used 1/2 cup of cocoa powder to make this chocolate. 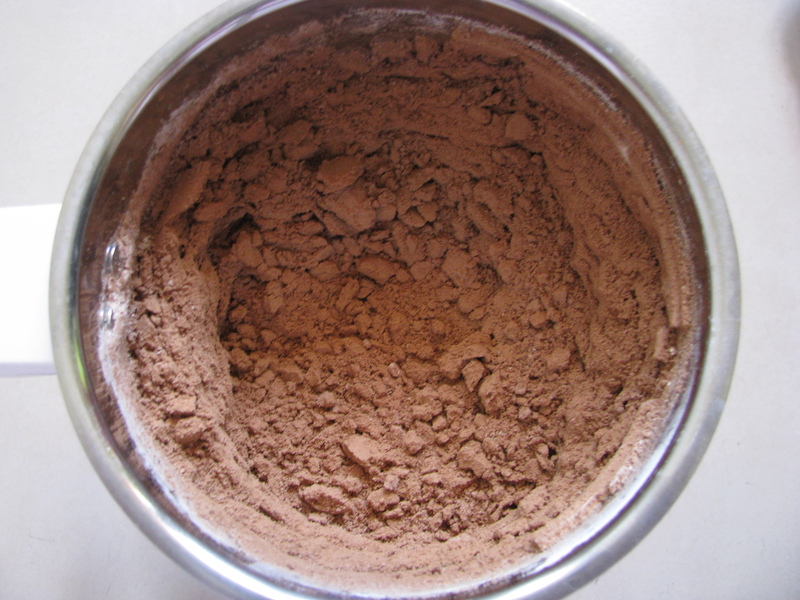 If you like dark bitter chocolate you can increase the amount of Cocoa powder and decrease the amount of milk powder. 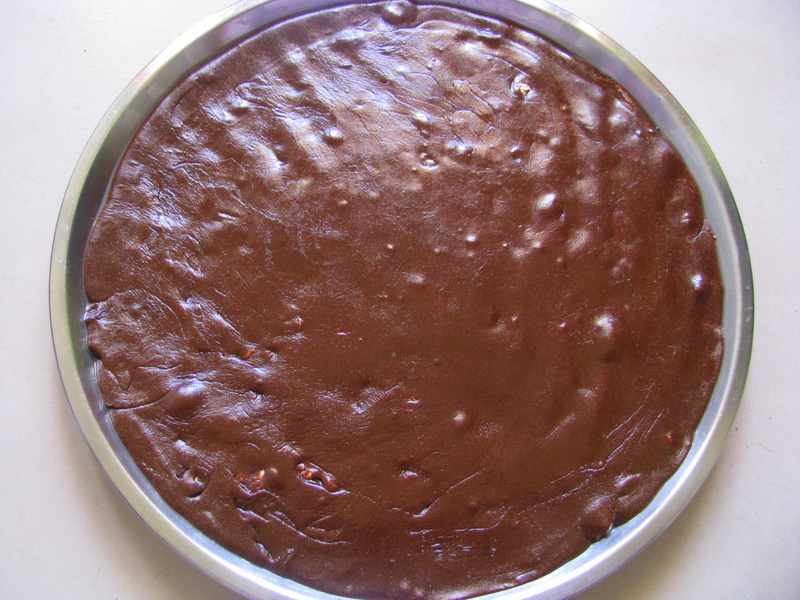 Milk powder – I have used Everyday milk powder to make this homemade chocolate to give it a nice smooth milky taste. 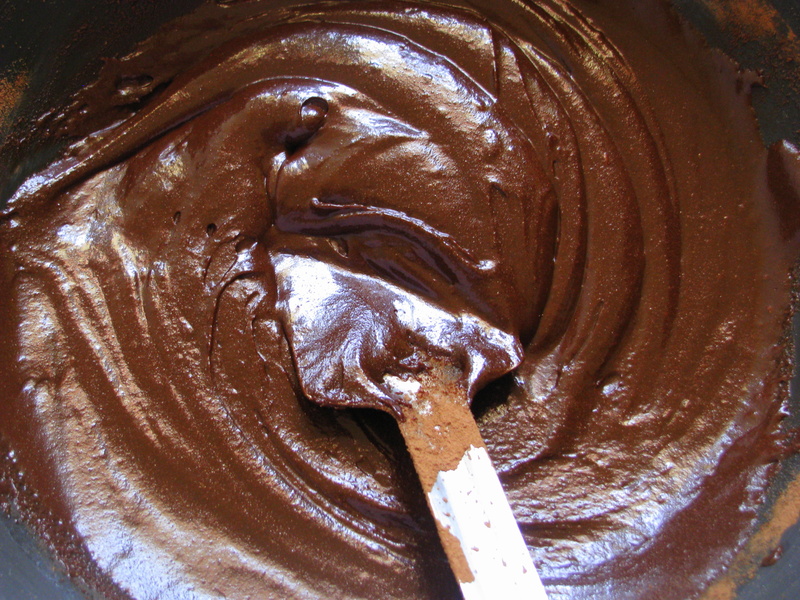 It is an important ingredient in this homemade chocolate recipe. Sugar – sugar is an important ingredient in this chocolate. It does not just give sweet taste to the chocolate but also gives binding to it. I even tried this chocolate by using jaggery. It was good but kids love the chocolate with sugar only. Butter – Butter makes this chocolate smooth and glossy. I use homemade butter to make this chocolate. Butter should be salt-free to make this recipe. In place of butter, you can also use edible coconut oil to make this recipe but my kids love this chocolate with butter only. I have explained how to make this chocolate from scratch with images. Do share your feedback for this recipe. 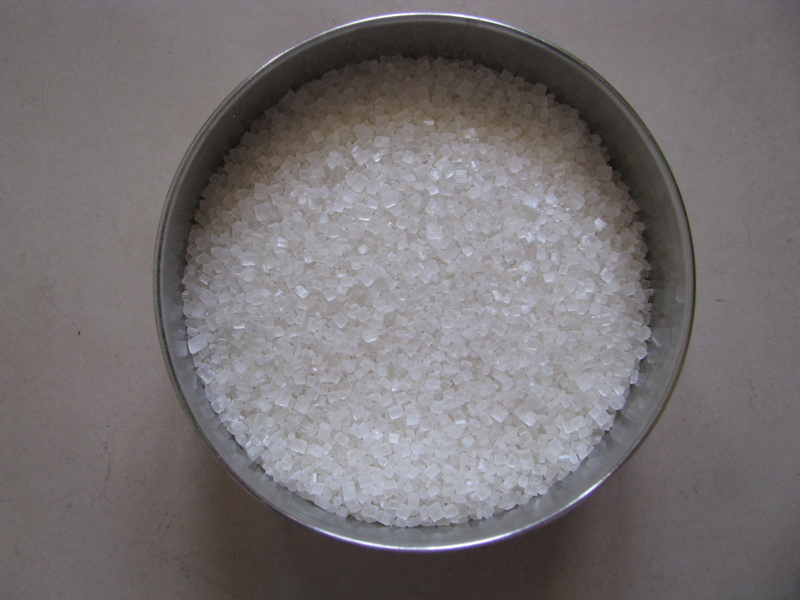 Take sugar in a mixer jar. Make a fine powder of sugar. Take powdered sugar and water in a thick bottom container or kadhai. Keep it on low heat. 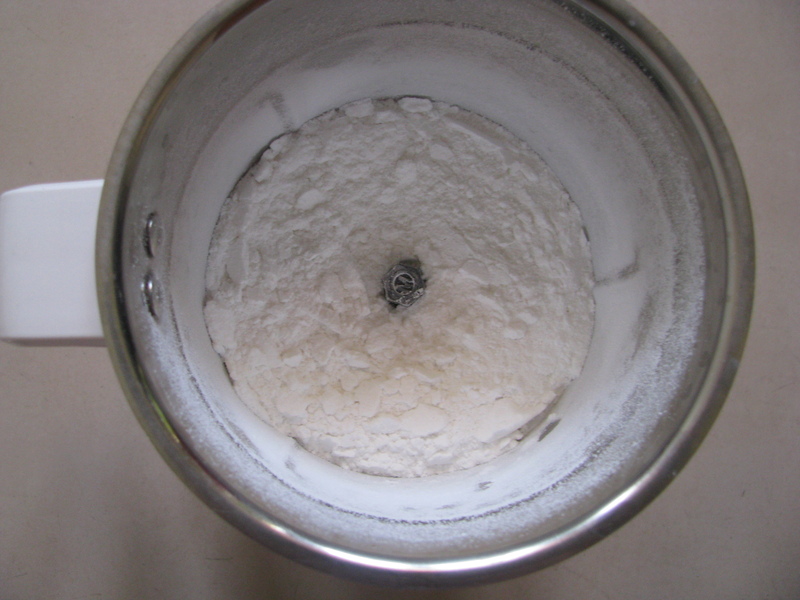 Take milk powder and Coco powder in a grinder and make a fine powder of it. Add butter to it. Keep the flames low. 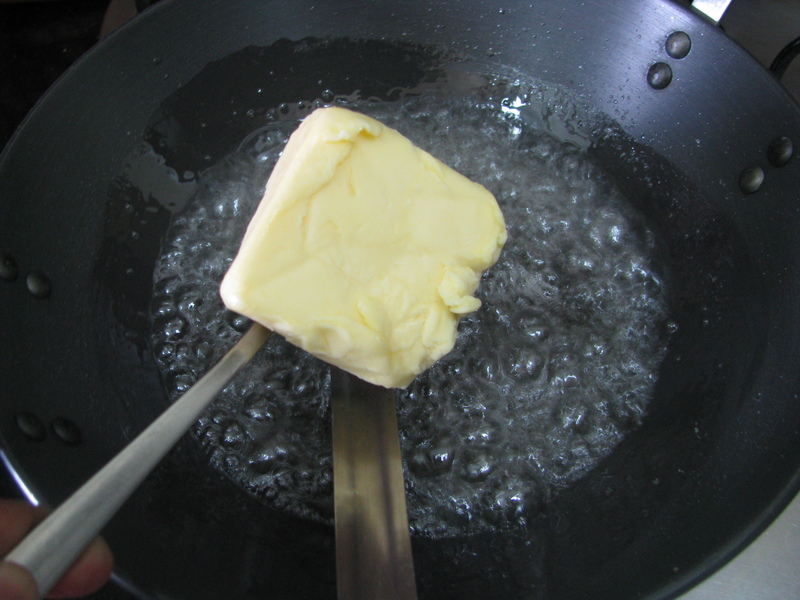 When the butter is completely melted add Coco milk powder mixture to it. Mix it nicely so that no lumps are formed. Remove from the heat and add roasted chopped nuts and mix it. let it cool down and make chocolate balls of it. You can also Grease the tray, add the chocolate mixture and spread it with the back side of the greased bowl. Let it cool down and cut the chocolate into the desired shape. 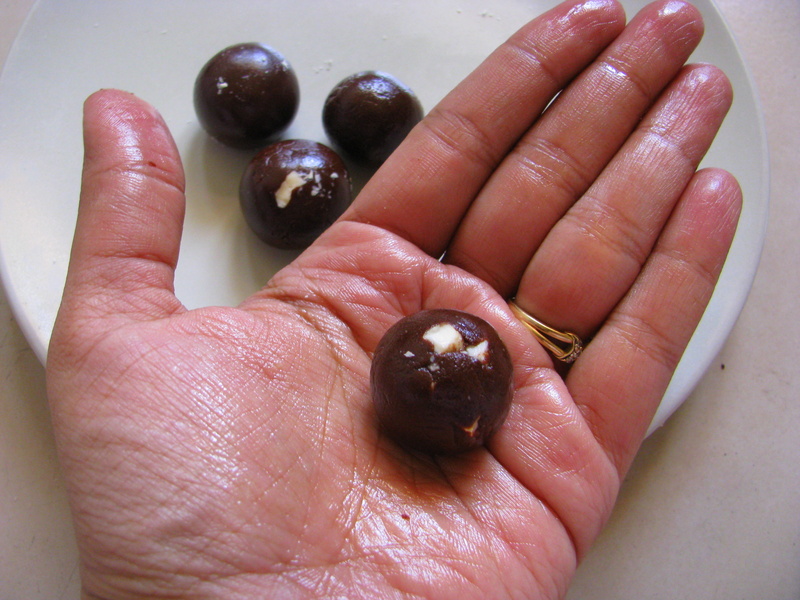 You can You can make both chocolate balls or any desired shape chocolate out of the mixture. Note – Keep the chocolates in an airtight container or in a bowl covered with cellophane film when you keep it in the refrigerator. tanx it was very useful 2 me 2 suprice my mom. My kids make sure that it should not last more than 4-5 days well the shelf life of this chocolate is around 20 – 21 days if it is kept in refrigerator…. 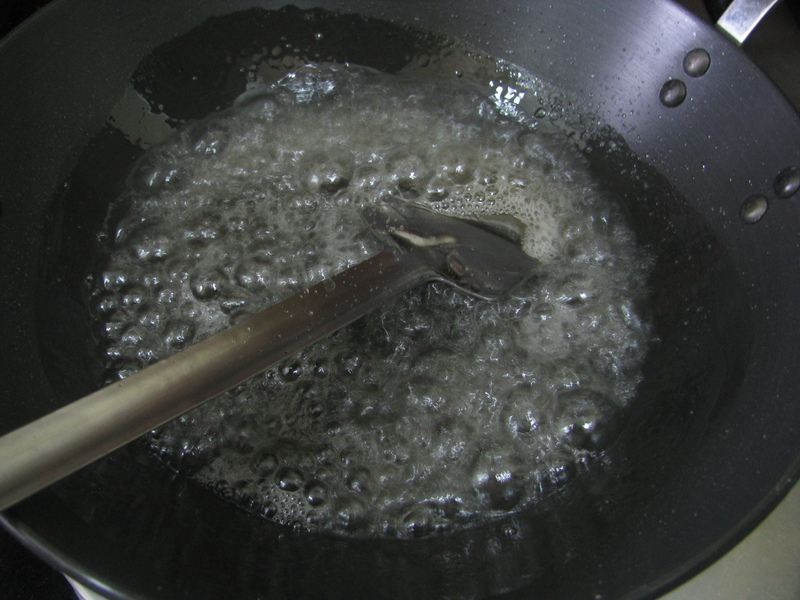 Hi, Just wanted to know if the sugar syrup needs to be boiled till one thread consistency or only till the sugar completely melts. boil it until the sugar is completely melted…..
Is it possible to use oil instead of butter or even to ise almond butter? Thanks a ton for sharing such interesting recipes!! I just wanted to tell you that i tried to make chocolates from cocoa powder and milk powder as suggested by you, but my chocolate turned to be very soft even after using same quantity and same brands of ingredients as directed by you. Please suggest what shall i do or add to existing chocolate to harden it and make balls or molded chocolates. Its my daughter’s birthday on 3rd December and she is allergic to flavors and food colours, so i used your recipe to surprise her. Kindly reply at earliest. 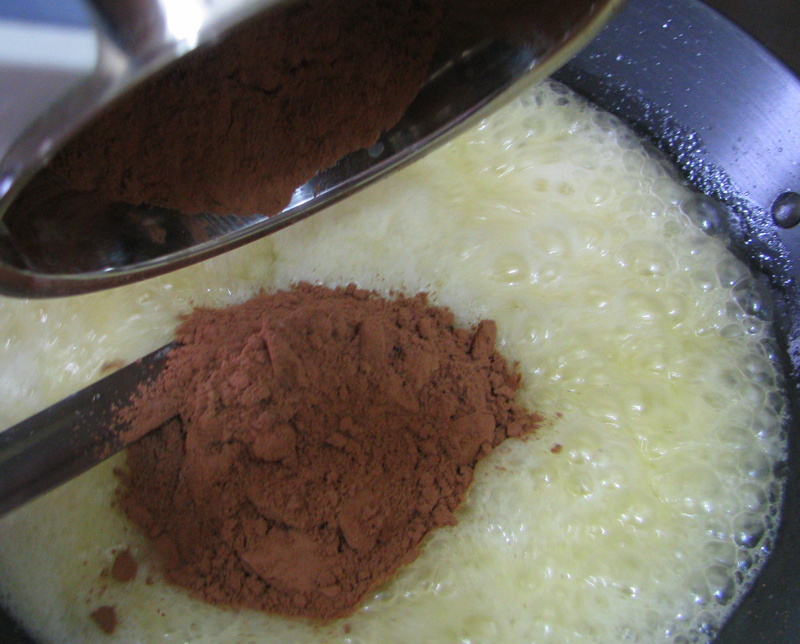 Sorry for late reply….When you will make chocolate next time tap the bowl while measuring the milk powder and cocoa powder , many times the milk powder and cocoa powder are loosely packed and the quantity of it becomes less and that is why chocolates becomes soft . Make it one day before as chocolate tastes best on second day…..
To make your soft chocolate hard make a 3/4 cup mixture of milk powder and cocoa powder in bowl .Take the soft chocolate in double boiler when it will melt add this cocoa milk powder mixture to it. stir it nicely and let it cool down . you can make a balls cubes or mold it into desire shape. Hi, just wanted to know that if I want to make them more stiff, what should I add more or add less. Thank You. Can I use chocolate brick.if yes then please tell me the quantity of sugar,butter and milk.which one is the best way. Can ghee be used in place of butter? Hi.. I really liked u r recipes& wanted to follow them on pinterest. Are u on pinterest? Hi tha ks for the recipe ! Would love to make homemade chocolates at home that don’t contain any additives and are healtHy for kids. but are these chocolates hard enough to get a crunchy texture and do they stay hard at room temperature? you need to store this chocolates in refrigerator. One suggestion – try sugar syrup of 2 STRING consistency. It never fails. Same method. Pour it in greased pan, cut it and no need to store in fridge. Ingredients ratio = 3:2:1 – sugar:milk powder: butter. 300 gms sugar: 200 gms milk pwdr: 100 gms butter: 50 gms cocoa pwdr. Good luck! I made the chocolate following your recipe. The chocolate is not freezing like a bar. Unable to cut it. It is still a very thick paste. I have kept the chocolate in freezer overnight, but still. I tried the recipe. The final mixture didn’t turn out like what you have shown in the picture. It was little dry(Powder type) and I couldn’t spread it in the tray . Though I could make it into small balls, the texture was not glossy as you have shown in the picture. can you tell me where I have gone wrong? Thanks for the useful recipe. Thank you for sharing this amazing recipe. 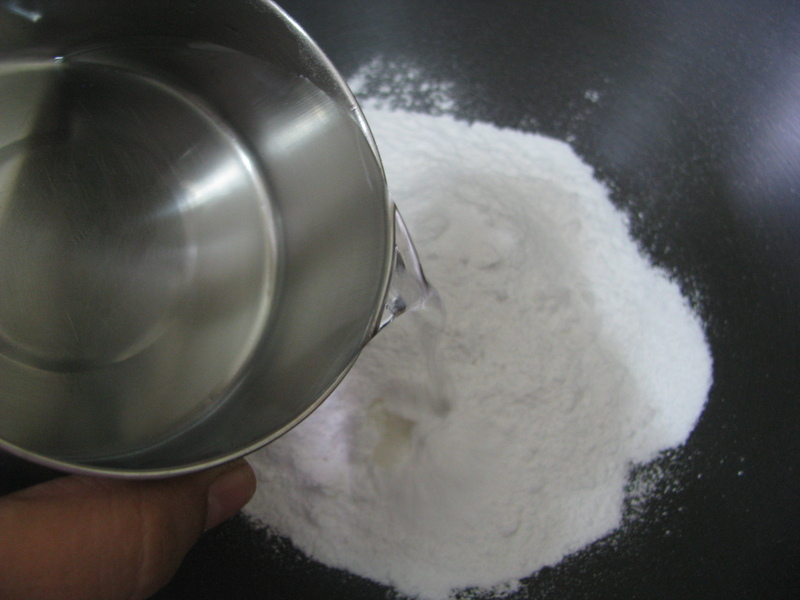 can i use milk in place of milk powder? and can i use icecube tray to pour chocolate? Hi.. I made chocolate as per your recipe.. It tasted awesome.. But chocolate remained soft.. Couldn’t make hard balls of chocolate.. Though i refrigerate them for 24 hours… Can you tell me why this happened? Hey, Jaishree . iMade your chocolates last week for the first time and it was a success. Thanks for sharing. How to replace Sugar with Jaggerry. My son is allergic to white sugar. But he can eat jaggery. Hence want to know this. Yes you can add jaggery in place of sugar to make this chocolate.